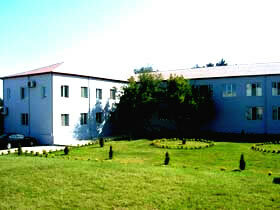 Azkompozit LLC has established the production of composite products in 2006 in Sumgait city of Azerbaijan Republic. 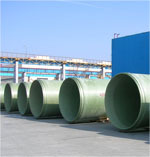 During the short period of time the company has increased its production capacity becoming one of the main FRP pipe manufacturers in the world. Oguz-Gabala-Baku potable water pipeline project with total length of 260km has been built between 2007-2010 using Azkompozit GRP piping systems. The installation mainly involved GRP pipes of 2000 mm diameter and 6-25 bar of nominal pressure. Detailed information on this project may be found in UK based Reinforced Plastics magazine. After completion of Oguz-Gabala-Baku pipeline project the company produces piping systems for potable water supply, drainage, sewerage and cooling systems that are in high demand in Azerbaijan. Up to date various GRP pipeline projects have been completed successfully throughout the country. Production and testing of GRP pipes is carried out on CNC controlled modern equipment according to stringent requirements of ISO, AWWA, ASTM, DIN, BS, API and other international and industry standards.